North part of the India has its own significance due to different culture; amazing monuments, wildlife, rivers, Himalays; religion and climate. The whole north India from north-west to north-east is also very important, purposefully and from country's safety point of view as well, as it borders Pakistan in the north-west, China in north and north-east, Nepal in and Bhutan in north-east. To start North India Trip consists of the following States viz. Delhi the Capital of India, Haryana, Himachal Pradesh, Jammu and Kashmir, Punjab, Rajasthan, Uttaranchal, Uttar Pradesh and Chandigarh which gives sufficient opportunities to the still interested tourists to travel around the vast variety of tourist attractions ranging from the royal Himalayas mountains, the cold weather with snow capped mountain peaks during winters. And the huge Thar Desert complete with forts and Camel Safaris and the facility of tents to provide the very original and traveling experience. 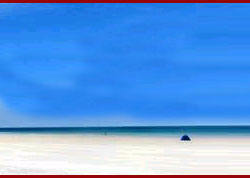 A place which can be visited any time throughout the year depending upon your specific tour theme at North India Trip. 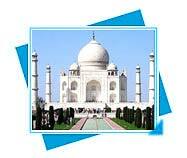 One of the Seven Wonders of the World built by Emperor Shahjahan. Renowned for its spectacular architecture and aesthetic beauty, the Taj Mahal is also a symbol of enduring love, built by Shah Jehan to house the grave of his beloved wife, Queen Mumtaz Mahal, who died following the birth of their 14th child. 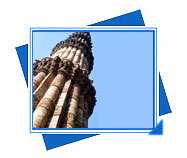 Qutab-ud-din Aibak, the first Muslim ruler of Delhi, commenced the construction of the Qutab Minar in 1200 AD, but could only finish the basement. It is the nerve centre of commercial activity. 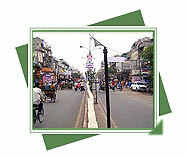 The narrow lanes have kept alive the traditional workmanship which makes Delhi famous. 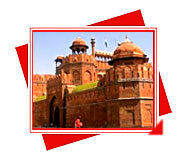 The Red Fort, One of the most spectacular pieces of Mughal structural design is the Lal Quila or the Red Fort. Built by the Mughal emperor, Shah Jahan between 1638 and 1648, the Red Fort has walls extending up to 2 kms. 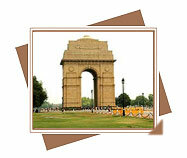 India Gate, an "Arc-de-Triomphe" likes Archway in the middle of a crossroad. Almost similar to its French counterpart war memorial. 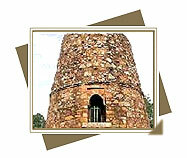 About 200m southeast of the Idgah is the Chor-Minar, a rubble-built tapering tower, rising from a stand and provided with a staircase in its interior. 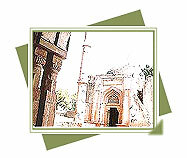 Firuz Shah Tughluq, it conforms to the Tughluq style of architecture. Many buildings, L-shaped ablution tank and pillars form this whole edifice. At a distance of 10 km. from Nadaun is Jwalamukhi, the town of temple is dedicated to Bhagwati Jwalamukhi, where eternal flames represent the deity Jwalamukhiji. 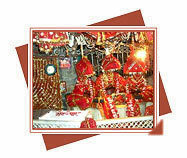 Besides, there is the Gorakh Dibbi, Chaturbhuji Temple and a host of other smaller shrines. This cave temple is 61kms north of Jammu. It is dedicated to Mahakali, Mahalaxmi and Mahasaraswati, the three mother goddesses of Hinduism. The cave is one of the region's most important pilgrim sites. 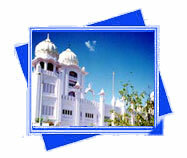 Guru Hargobind in 1644 as well as Guru Har Rai in 1661 was cremated here. 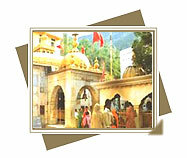 The ashes of Guru Harkrishan were brought from Delhi and immersed here in the river Sutlej in 1664.